We never stopped believing! 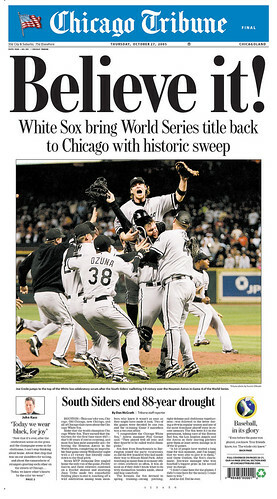 Congratulations to the White Sox! And thank goodness they swept because we could not have managed another all-nighter!